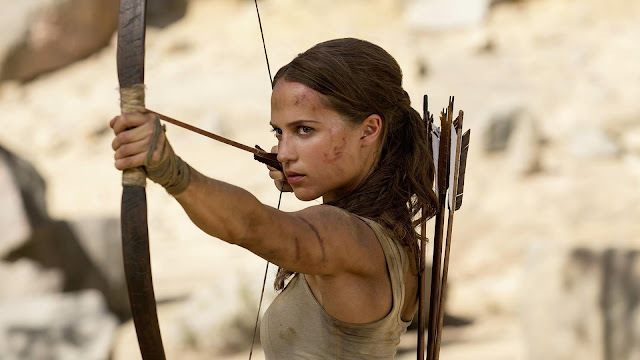 It was revealed in June that composer Tom Holkenborg aka Junkie XL was helming the score to the upcoming Tomb Raider film reboot starring Alicia Vikander as Lara Croft, due out March 16th, 2018. The film is heavily inspired by the 2013 video game reboot of the same name, and with filming wrapping up in Cape Town and London earlier this year, the visual tie-in is unmistakable. The question now on the tip of every Tomb Raider fan's tongue - will the film soundtrack utilise the thematic motif from the games? Really? Nice! Can you do your own main theme or are they asking you to use mine? Can't wait to hear! The Tomb Raider franchise's last silver screen adaptions, Lara Croft: Tomb Raider (2001) & Lara Croft: Tomb Raider - The Cradle of Life (2003) were accompanied by music composed by Graeme Revell and Alan Silvestri respectively. Revell had a very short time to finish the job, and legacy video game composer Nathan McCree's original Tomb Raider motif did not make it into the soundtrack. Silvestri, on the other hand, implemented McCree's motif with significant variation. Holkenborg may not yet be able to disclose plans for the music of Tomb Raider (2018). A trailer for the upcoming film by director Roar Uthaug is surely imminent, but as goes the film advertising industry, it's unlikely to incorporate any work from Holkenborg and instead be accompanied by third party trailer score.